Using SceneChat on your website will help you stay more engaged with your visitors through the content you post. If you embed videos on your site regularly, SceneChat will allow you to get more eyes on them, and can even make your videos go viral. SceneChat is a new social video sharing system that enables visitors to share their favorite videos with friends and followers on their social networking sites. Once you add some videos to the system, you’ll notice active discussions taking place about your videos, discussions that engage other visitors, ultimately increasing targeted traffic to your site. What does any blogger or website owner want more than to drive interested visitors to their site? 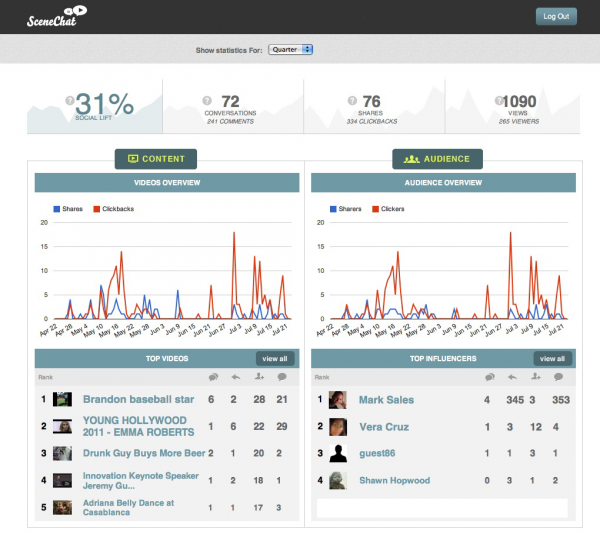 So what exactly does SceneChat do to bring more visitors to your site? The answer is very simple; it puts your videos in front of more viewers and encourages discussions and comments. This will allow you to gain valuable insight into the nature of your audience, and see how they respond to the content you share. In other words, by getting valuable feedback, you can make changes to your business strategies and blog layout based on the constructive comments left by your visitors. SceneChat helps you to take your business to the next level. What makes it so effective is that the traffic to your videos is monitored to determine whether or not your content is being well received. You will be able to see which videos attract the most views and comments, and hence, bring the most traffic to your site. This is a surefire way for you to evaluate content that is already on your site, and tailor future posts to include the types of videos and written content that your audience is looking for. Keeping your finger on the pulse of your target audience is vital to the success of any blog or website. People have thousands of choices out there in cyberspace, and if you don’t give them what they want, you can rest assured they will go elsewhere to find it. Another great advantage of using this social video sharing system is that it helps drive new visitors and customers to your blog or website. They will be drawn in by the videos you share via SceneChat, and their curiosity will lead them to your site, hopefully making them subscribers. Social network traffic is invaluable to internet marketers, as more and more consumers look for social proof when making decisions about where and how to spend their money. The more people are viewing and discussing your videos, the more social trust you’ll build, which will ultimately lead to more sales. It is important to know that SceneChat supports YouTube and Vimeo videos at the moment, and that more players are likely to be added to the repository in the course of time. Although SceneChat gets automatically embedded to all videos, you can exclude certain videos from SceneChat integration if you so choose. This is one of the special features of this wonderful social video sharing system. The primary reason why a system like SceneChat is preferred by bloggers and web publishers is that it nicely integrates with two of the finest and the most popular social networking sites on the net, namely, Facebook and Twitter. As a blogger, if you remove a comment from your SceneChat application, it gets removed simultaneously from Facebook as well. 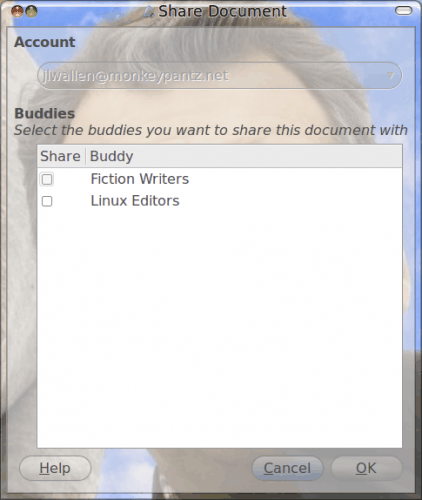 The full integration will allow you to make edits just once, and have the applied to several of your networks. Okay, so what’s SceneChat going to cost me? You are probably wondering what the costs of the services offered by SceneChat are. At the moment, this pioneering social video sharing system is in private beta testing, and if accepted into the testing you will be able to use SceneChat free of charge of! This leaves no reason not to make use of its services for getting your videos in front of more viewers and driving new visitors to your website or blog. The increase of potential traffic through video that SceneChat offers will be valuable to any internet marketer. The more people who view your video, the more targeted traffic you funnel to your site. We all know more targeted traffic equals more sales or conversions. As an added bonus, SceneChat offers full statistics for all videos you have in the system. Just log in and visit your control panel to evaluate the performance of videos on your site, and make adjustments based on those statistics. This will allow you to see detailed information about how visitors are responding to your videos, and will prove to be invaluable in helping you choose which types of videos to include in future posts. Internet marketing requires constantly testing your content, landing pages, and products being offered, and the statistics offered by SceneChat will allow you to make the testing process more efficient.